If you are one of the many women who suffer from migraines, then you might be wondering if it's safe to take Hormone Replacement Therapy (HRT). Migraines are not simply a 'headache' and their debilitating pain means that sufferers will want to take virtually any reasonable step to avoid worsening the condition. Migraines are intense headaches that usually show symptoms not found with most other kinds of headaches. They can include nausea, vomiting, sensitivity to light and visual disturbances. They also affect women far more often than men. As such, there is possibly a hormonal component to migraines. In fact, some women experience more frequent and intense migraines around the time of their menstrual period although this correlation isn't one that is completely proven yet. While HRT isn't specifically linked to migraines, you should still proceed with caution if you are a migraine sufferer. 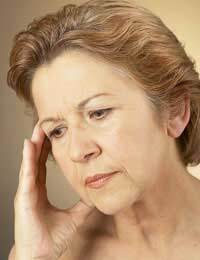 HRT also is not thought to increase risks of stroke in women who suffer from migraines versus non-sufferers. Still, keep in mind that HRT does contain oestrogen or progesterone therapy, which could intensify migraines. How will My Migraines React? If you do decide to take HRT, you should monitor your migraines for any changes. If oestrogen tends to influence your migraine patterns, you may find that your migraines change when you take HRT. Changing the dose can similarly change their intensity and frequency. For women who find that their migraines are associated when oestrogen is withdrawn, they can look into continual dosing instead of a cyclic approach. If a woman's migraines are linked to cyclic progestogens, she might find her migraines respond to other forms of progestogen or a reduction in how many times she takes progestogen each month. It is highly unlikely that you would experience migraine headaches for the first time after starting HRT. Even as a middle-aged woman, typically migraines don't begin during these years. They are much more likely to commence in childhood or the young adult years. However, if you do start a course of HRT and find that you are experiencing intense headaches that have unusual symptoms such as visual disturbances or nausea, see your doctor to find out if you are suffering from migraines. In the unlikely event that you have migraines associated with HRT, you will probably need to stop taking the specific form and dosing schedule of HRT while your doctor investigates further. For women who find that HRT seems to trigger additional migraine symptoms such as aura when they previously suffered from migraines without aura, you should talk to your doctor about the oestrogen dose and any changes that can help your migraine pattern and overall woman's health. Menopause brings many changes and hopefully, these won't include any problems relating to migraine headaches you already experience. There are ways to treat your migraines and you should talk to your doctor about finding the best menopause treatments – HRT or otherwise – to make your menopause transition much more positive while also keeping your migraine headaches at bay. I stopped taking the combined hrt tablet 2 weeks ago on my docs advice.I had been on it for 5 years.I'm 56 years old.Other than a few warm flushes that pass very quickly& a couple if spotting days, ive felt ok. The only thing I've struggled with is really bad headaches(migraine type ) which I've had several of. Is this common?